Today’s reflective guest post comes from a great Museums at Night campaign partner: Mark Macleod, the former Membership Development Manager at Museums Galleries Scotland. Museums Galleries Scotland currently represents over 340 museums and galleries throughout Scotland. 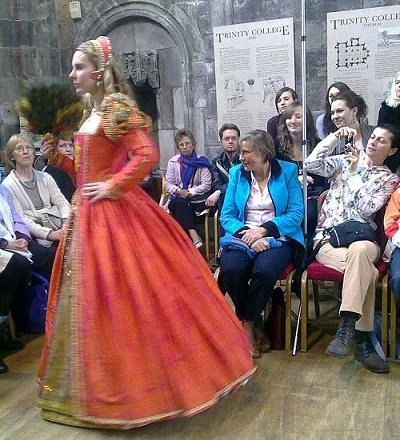 Six years ago MGS launched Show Scotland, for all museums and galleries in the country to experiment with their collections and run an inspiring event on the first bank holiday weekend in May. We also hoped that creating, planning and delivering events would enhance the skill sets of museum staff. The project was run by Eithne ni Chonghaile, with support from myself and other colleagues. Museums were provided with toolkits covering press releases, marketing and event management, and accredited museums were also offered a small amount of grant funding. Beyond local marketing by the museums, Show Scotland delivered regional and national coverage, and a central website for promotion and information of the events for the public. Eithne and I partnered with the Museums at Night team, Nick and Rosie. The word ‘partnership’ is used a lot in these days of austerity by organisations looking to save or share resources while maintaining impact. Finding a partner who complements and compliments is rarely easy, however that is what I found working with Museums at Night. Festival of Museums’ team had four years of experience to draw on; how grants were being spent, how much did events cost, how many events were out of hours, how were sponsorships organised. In return Museums at Night were supportive by including Festival of Museums’ links in press releases and a section in BBC History Magazine’s Guide to Museums at Night their with media partners like the BBC History magazine insert. Over the past year the relationship between the two organisers has blossomed beyond the one event. MGS and Culture24 both hosted conferences in Autumn 2011, and myself and Rosie met up at the MA conference to share war stories and lessons learned from the experience to make our next conferences even better. Festival of Museums 2011 was the biggest weekend ever, with over 80 events held throughout Scotland. Partnering with Museums at Night contributed to this success through wider coverage, jointly marketing after-hours events through both campaigns, and having a listening ear and a very sound sounding board. Festival of Museums and Museums at Night are happening over the weekend of 18-20th May, and both festivals are expected to be the biggest yet! Catch up on the events in your area via their websites, and follow the excitement on Twitter at #FoM12 and #MatN2012. Mark Macleod was Membership Development Manager, Museums Galleries Scotland until March 31st and is about to start as Operations and Projects Curator (Maternity Cover) at the Museums of the University of St Andrews. Thanks very much, Mark! If you’d like to write a guest post on any aspect of museum or gallery event planning or marketing, please contact me on 01273 623336 or email rosie@culture24.org.uk.